Robert Downey Jr's Style Statement For Avengers: Endgame Promotions Is A Testament To How He Spends His Millions - View Pics! Viral Pic of Friends Travelling in Same Car Holding Flags of BJP, Congress and CPI(M) Is What India Needs Right Now! The final of the Indian Premier League (IPL) Season 12 will be played at the M.A. Chidambaram Stadium in Chennai, the BCCI informed on Tuesday. Visakhapatnam has been decided upon as the alternative venue, in case any unforeseen event takes place. IPL 2019 Schedule in PDF for All Matches: Download VIVO Indian Premier League 12 Full Timetable With Fixtures, Dates, Team and Venue Details. Each and every franchise gets to play seven home matches, as per the schedule. A Board official was quoted as saying by Sportstar that the BCCI has spoken to local administration and that they have assured full support to the BCCI. IPL 2019 Schedule Till May 5 Out: Full Time Table of Vivo Indian Premier League 12 League Stage Fixtures, Dates, Venue Details and Match Timings Announced. One of the Board officials was also quoted saying by Sportstar that in some centres and cities, no matches have been scheduled near the election date to avoid logistical issues. 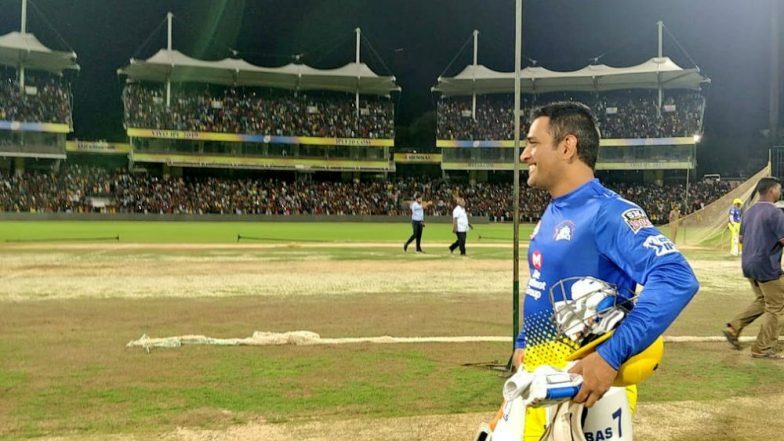 The 12th edition of the Indian Premier League (IPL) is beginning from March 23 and the first match is between Mahendra Singh Dhoni's Chennai Super Kings (CSK) and Virat Kohli's Royal Challengers Bangalore (RCB). The opening match will be played at the MA Chidambaram Stadium in Chennai. KKR vs RR Head-to-Head Record: Ahead of IPL 2019 Clash, Here Are Match Results of Last 5 Kolkata Knight Riders vs Rajasthan Royals Encounters!